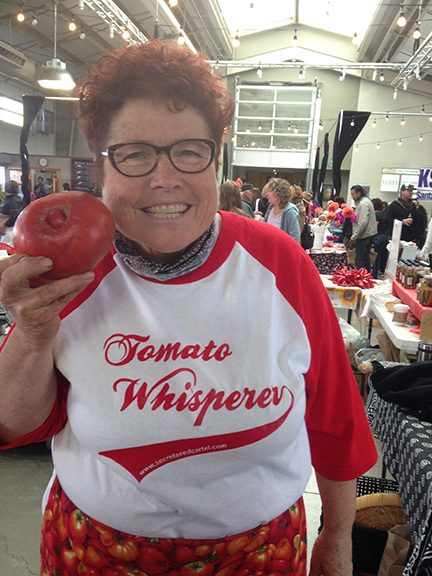 Saturday I will return to the Santa Fe Farmer’s Market as the ‘Tomato Lady’. 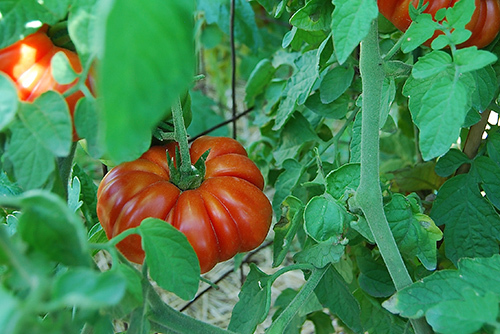 I don’t have lots of tomatoes yet but everyday more are ripe so come early to get the best choices like the beauty pictured above from Italy called “Costuluto Genevese”. 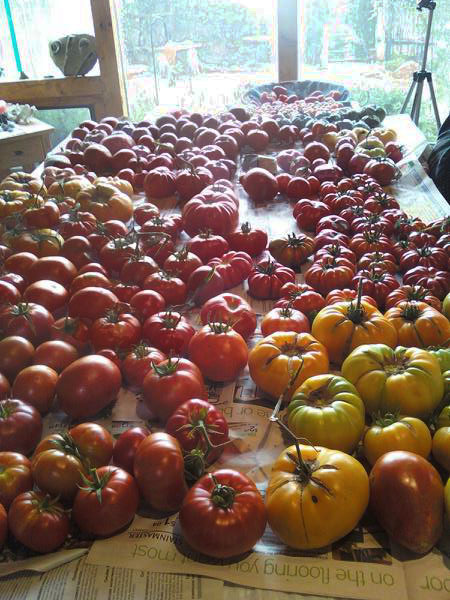 I have 12 new varieties as well as the ones I grew last year. This entry was posted in 'THE TOMATO LADY', general, Santa Fe Farmer's Market, TOMATOES and tagged Costuluto Genevese tomato, Santa Fe Farmer's Market, Santa Fe Tomato Lady, The Tomato Lady, tomatoes, vegetable gardening. Jannine, I had forgotten what the name of those tomatoes were. I do have a very many GREEN C.G.’s in the greenhouse and hope they will ripen up before it turns cold.